Kelsea Ballerini and Steven Tyler will help deliver the final nominees for the 49th Annual CMA Awards across several ABC properties on Wednesday, Sept. 9. From New York City, the country newcomers will be on ABC’s Good Morning America to announce five categories live from Times Square. The announcements will air in the 8:30 a.m. ET half-hour segment of the morning news program with a performance from Tyler. The remaining finalists in several other categories will be revealed at approximately 9:10 a.m. ET on GoodMorningAmerica.com on Yahoo. Tyler will then visit the set of Live with Kelly and Michael to talk about his country project and the newly-announced nominees. Ballerini will separately record a special ABC News Radio satellite tour to talk about the nominees and her breakthrough year. She will then appear in the Third Annual Bryant Park Concert Series, Nashville’s New Music in New York, which is presented by the Grand Ole Opry, Southwest Airlines, and NASH-FM 94.7. The free acoustic concert will invite a group of music educators from CMA Foundation partner Education Through Music. 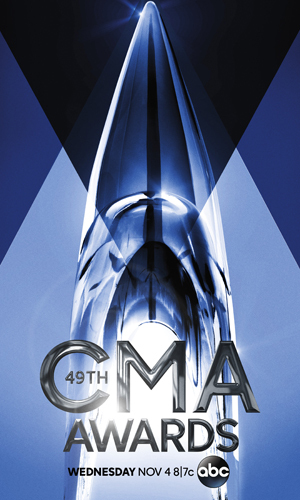 CMA will release the full slate of 2015 CMA Awards nominees as well as the finalists for CMA’s Broadcast Station and Personality of the Year later in that day via CMA’s social platforms and website. Final ballots will be due by CMA members on Oct. 27 at 6 p.m. CT. The 49th Annual CMA Awards will air with seasoned hosts Carrie Underwood and Brad Paisley Nov. 4 on ABC with Robert Deaton as the Executive Producer and Paul Miller as the Director.